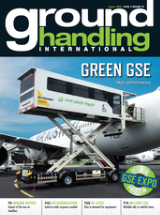 Menzies is to focus on its ground handling business after agreeing to sell its print media distribution division to private equity firm, Endless LLP. Under the £74.5m agreement, Menzies will retain a 10% equity stake in the distribution division, which accounted for about a third of the company's total profit last year. The deal comes nearly a year after the collapse of a proposed merger between Menzies and British mail delivery company DX Group. After the sale, current President and Managing Director of Menzies Aviation, Forsyth Black, will be appointed as Chief Executive. Menzies Chairman, Dermot Smurfit, said: "I am delighted to announce today the sale of Menzies Distribution. "In doing so we create a pure play aviation services business that operates in a structural growth market and is very well placed to take advantage of the many exciting opportunities that exist. "In his role as Menzies CEO, Forsyth Black will now focus on growing our market share in the aviation services market, increasing our operating margins and continuing to deliver excellent services to our customers."